Do you know anyone who would like to join us in Sierra Leone for a season? Finding supervisory skills and leaders is a challenge in Sierra Leone. Maybe you are at a point in life where you could give a month or more to help us out here. Here are some key self-funding roles we need to fill. Please share this with your friends and get in touch at nigel.hyde@homeleone.org. Thanks so much! General Manager – With so many opportunities and on the ground management, it is clear we need a full-time in-country leader. 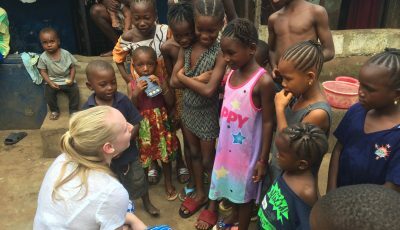 If you have the skills to manage a complex multi-disciplinary life-changing charity, and would like to live in Sierra Leone for a season, please get in touch. Director or Education – Below you will learn more about our education plans. We need someone to commit to leading in-country, training teachers and helping us open the school on 3 September 2019. Builder – We need someone with building skills to help develop our planning, training and construction processes in the village. It remains a constant challenge to train local workers, and we need someone who loves being on site and can help us develop our foremen and supervisors. If you have construction experience, then do please consider this. Business Leader – We have now established 5 businesses. Each has its own USP’s, marketing and production issues. If you understand business we need you to come and coach our business heads and help them understand profitability and grow the businesses. This is what will make the village sustainable and provide income to support education and healthcare. If you have business acumen, we need your help. Team leader and Administrator – If you are organised and great with people, we have a whole series of jobs that come our way that needs someone to pick up. From showing visitors around the village and hosting teams who come to help, to helping us manage those moving to the village and communicate well. This does not need a major track record. It just needs a willing heart and common sense. The expansion of our building program is coming and we have opportunities beyond the village to build low-cost homes. There are few in the country with the basic skills we need to lead and train on the projects. You may be able to come for short or longer times. Financial transparency and managing money in a largely cash society requires skill and logic. We have developed systems (now putting in Xero) that need attention, and our desire to produce regular management information across a range of industries is really interesting.